Thumb screws are designed to be tightened and loosened by hand. 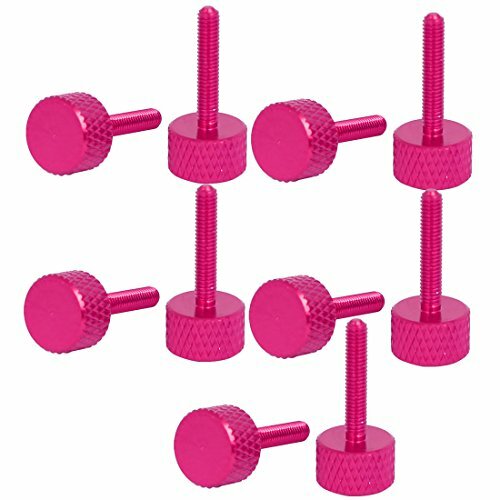 They have an easy grip head that allows for simple by hand installation, just like conventional thumb screws. The large thumb screw has an extra large head with a straight knurled surface for additional grip for manual adjustment. Can be used for computer pc case, computer pc graphics card, hard drive. Thread Size: M3 x 16mm/0.12" x 0.63"(D*L); Total Length: 22mm/0.87"